Our client wanted to design a new handheld display device for use with their range of telemetry tensile links which would also involve a re-design of the telemetry electronics that transmits the data from the loadcell. The brief was simple, it must be technologically superior to their competitors, easy to use and also survive a multitude of working environments. In response, we designed the Vega Telemetry system to be very easy to use yet containing a powerful set of commands and features. These include multiple telemetry devices per handset, long range and high accuracy. The re-use of designs between different elements of the system also gives us a flexible set of modules which are easily repurposed for a number of completely unrelated applications. Dynamic Load Monitoring (UK) Ltd specialise in the design, manufacture, repair and calibration of load cells and load monitoring equipment. Successfully supplying equipment for more than 20 years, DLM have proved to be industry leaders in finding a solution to load monitoring requirements. Internationally known for an unprecedented high quality, reliable standard product range, DLM are also the world leaders in the design and manufacture of shear pin loadcells to the offshore and subsea industry.are also the world leaders in the design and manufacture of shear pin loadcells to the offshore and subsea industry.have proved to be industry leaders in finding a solution to load monitoring requirements. Internationally known for an unprecedented high quality, reliable standard product range, DLM are also the world leaders in the design and manufacture of shear pin loadcells to the offshore and subsea industry. "ASH designed everything including electronics, firmware, keypad overlays and completed the task by neatly packaging into a brilliant robust casing. 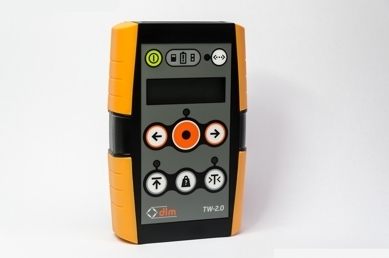 The device has proved a big hit with our customers and we now use it across a wide range of our loadcells. It even has a few upgrade options too!"